The Teleological Argument | J.W. 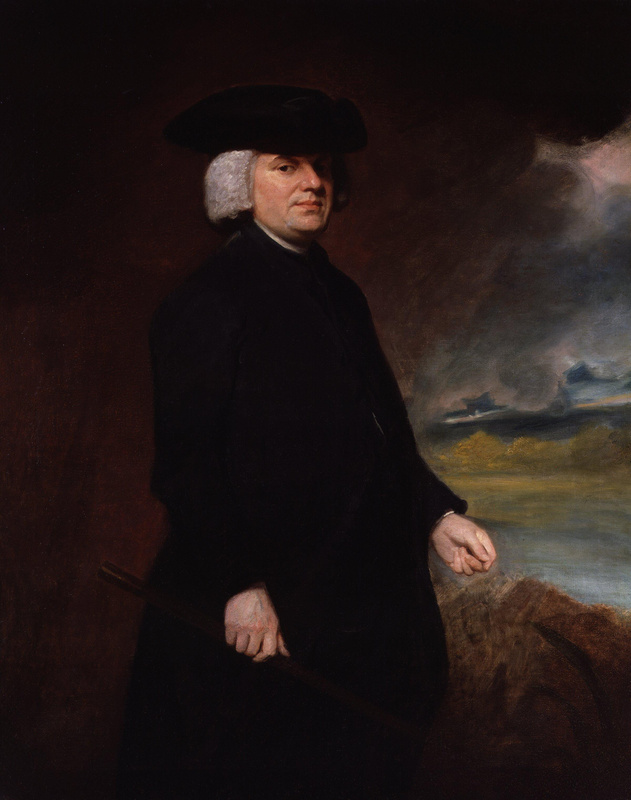 Wartick -"Always Have a Reason"
William Paley (1743-1805) is a name which echoes through history. His Natural Theology continues to have a profound and lasting impact on the argument from biological design. His Evidences of Christianity challenges readers on a historical and exegetical level with arguments for the faith. Unfortunately, too few have thoughtfully interacted with his arguments. Here, we will first look at Paley’s views and life. Then, we will examine his major works and arguments. We will discover there is much to learn from this intellectual giant. Note that this post is necessarily brief, and that readers are greatly encouraged to go to the primary sources found below. Paley went to school at Christ’s College and Cambridge. At the latter, he was awarded multiple times for his scholarship. He eventually became the Senior Dean at Christ’s College and was awarded a Doctorate of Divinity from Cambridge. Bishop Barrington of Durham granted him the rectory of Bishop Wearmouth. His life was strewn with accomplishments. He was a utilitarian with deep Christian convictions. Throughout his life, he remained controversial. His utilitarianism was condemned, as was his critique of the often extreme defenses of property ownership. His anti-slavery was unpopular alongside his support of the American Colonies in the Revolutionary War. The powerful nature of Paley’s works is revealed in the fact that his major work on utilitarianism, The Principles of Moral and Political Philosophy, became mandatory reading at Cambridge. His Natural Theology continues to be discussed in courses on philosophy of religion. The man was acclaimed by some within the church, who praised his defense of the faith despite others’ objections to his metaethical views. His contributions to Christian apologetics are the focus of this piece, and we shall turn to them now. Paley’s most famous work nowadays is undoubtedly Natural Theology. In this work, he makes his well-known case for the design argument. He utilizes the analogy of a watch. If one finds a watch on a beach, one knows instantly that someone made the watch. Paley applied this same notion to life; one sees the sheer complexity and life and can infer that it, like the watch, was designed. Many have dismissed Paley’s work here, noting that at points he relies on scientific explanations which have been discredited, while at others his examples have been explained. Yet the genius of his work is found in broader principles, which moderns should note. First, he argued that simply never having observed design in action on a biological level does not preclude any possibility of arguing for that same design (Natural Theology, 8, cited below). Second, evidence of things “going wrong” within a design does not invalidate the design of an object in and of itself. Third, higher level natural laws which may lead to order does not explain away the order itself. Fourth, when something appears to be designed, the burden of proof is upon those who assert an object is not designed. These points seem to me to hold true to this day. I am sure none of them are uncontroversial, but Paley places his defense of this points squarely within his analysis of those artifacts which he considers to be designed (i.e. the eye and ear). A full treatment of these points thus must turn to his own arguments, but for now I would provide the following brief defenses. Regarding the first, this point seems obvious. If I have never seen someone construct a car, that does not in any way mean that I cannot conclude that someone had to have made it. The second point should be well taken within the context of the debate between Intelligent Design and Darwinian forms of evolution. The point is that simply pointing out a flaw in a design does not mean an entire object is undesigned. The third item seems correct because if something exhibits order, and that order is shown to be based around an ordering principle, the very order in and of itself has not been explained; instead, it is only the mechanism for generating that order which is observed. Finally, the fourth point is likely to be the most controversial–after all, appearances may deceive. Yet it does seem to be the case that if, a priori, something appears designed, then to conclude that something is not designed one must have defeating evidence for this appearance. Paley’s Evidences (commonly known as “Evidences of Christianity”) became almost instantly famous. The work generated a number of summaries and expositions by other authors who were delighted with its style and the arguments contained therein. It is easy to see why, once one has begun a read through this apologetic treatise. Paley presents a number of arguments in favor of the Christian worldview. These evidences are largely historical in nature and include the suffering of those who spread Christianity as evidence for its truth, extrabiblical evidence for the truth of the Gospels, the authenticity of our Gospel accounts due to the early practices and beliefs of Christians, undesigned coincidences, and many more. Paley also provides a dismantling of David Hume’s argument against miracles. It seems to me that any and all of these arguments retain the force they had in Paley’s own day. Consider the argument from the suffering of Christians. Well of course those of other faiths are willing to even die for that which they believe is true. But Paley rightly pointed out a huge difference between those of other faiths dying for their beliefs and the early eyewitnesses of the events surrounding Christ dying for their own beliefs. Namely, these people would know for certain whether that which they believed were true. That is, they either saw the resurrected Christ or they did not. If they did not, then explaining their willingness to die for this profession of faith becomes extremely difficult. However, if they did actually see that which they declared, their willingness to suffer unto death for this belief makes perfect sense. Many miss this important distinction even to this day. The rest of Paley’s arguments found in the Evidences is filled with insights similar to this. An argument which has largely been neglected within modern apologetic circles is that of “undesigned coincidences.” I have made an exposition of this argument already, and it should be noted that the best places to discover it are in the realm of historical apologetics. William Paley dedicated this work, Horae Paulinae , to discovering undesigned coincidences within the Pauline corpus alongside Paul’s history as written in Acts. Now, the argument from undesigned coincidences takes quite a bit of work to properly outline. It is, in essence, a matter of looking through the Scriptures and finding how incidental details in one account fill in the blanks of another account. However, this description is so brief as to be simplistic. Paley himself acknowledged a number of the difficulties with describing undesigned coincidences in this way. Regarding the Pauline corpus, for example, it could be that someone invented letters from Paul but based them upon his history found in Acts. But the argument itself takes this into account and generally serves as a defeater for this notion by sheer weight of evidence. That is, the more coincidences are found, the more credulity is stretched if one wishes to assert forgery. Paley buries the objections to undesigned coincidences in this fashion throughout the Horae Paulinae. The sheer volume of coincidences he finds, and the way they seem so clearly to be incidental, serves to dispel doubts about their genuine nature. Here, we have surveyed Paley’s major works, but he was a prolific writer who published sermons and of course his (in)famous work on utlitarian ethics. The preeminence of Paley as a scholar and writer is unquestionable. It is time we acknowledge how much we have to learn from those who have come before us. We have seen the diverse array of arguments which Paley offered in favor of Christianity. These ranged from biological design arguments to undesigned coincidences to historical arguments in favor of the Gospels. Paley was a masterful writer whose arguments continue to influence apologists and draw ire from atheists to this day. Although the arguments have not been unscathed, I have offered a few reasons to reconsider some which have long been dismissed or forgotten. Paley’s influence endures. I would like to dedicate this post to Tim McGrew, who introduced me to the vast field of historical apologetics. Without his bubbling delight and enthusiasm in the field, I would never have known much–if anything–about people like Paley. It is my hope and prayer that you may also be persuaded to pursue historical apologetists/apologetics. Be sure to check the links for some good starting places. Be sure to check out the links at the end of this post as well as the resources from Paley. Library of Historical Apologetics– Here is where I got started, with Tim McGrew’s phenomenal collection of works. In particular, the “annotated bibliography” will set you up with some fine works. The site features a “spotlight” on the main page for various fantastic reads. Browse and download at will. Also check out their Facebook page. On the Shoulders of Giants: Rediscovering the lost defenses of Christianity– I provide a number of links as well as an annotated list of historical apologetics works which are great jumping off points for learning more about the vast array of arguments which have largely been forgotten within the realm of apologetic argument. I consider this one of the most important posts on this site. Forgotten Arguments for Christianity: Undesigned Coincidences- The argument stated– Here I outline the argument from undesigned coincidences and explain how it can be used within apologetics. William Paley, Evidences of Christianity (this is a free link for the item on Kindle, note that it is also available for purchase in a hard copy). Also see here for a few links to PDF versions of the book. 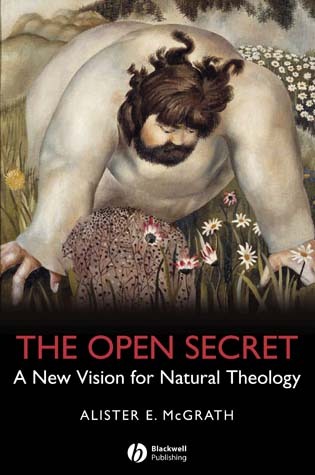 —-, Natural Theology (Oxford World’s Classics) – This link is for the Kindle edition which I used for this post. I highly recommend this specific edition due to the helpful introduction and other information included in the text. It can be found for free here. —-, Horae Paulinae – this link is to the kindle version. It is also available for free here. *I am indebted to the discussion of Paley’s life found in the introduction of the Oxford Classic’s edition of Paley’s Natural Theology, which I have cited above. The interplay between worldviews and science fiction is very strong. In any writing, an author’s viewpoint will show through, but I think that it is particularly true in sci-fi. For in science fiction, the author is most frequently presenting a view of the world as it should be or as it should not be. The speculative future can be used as a foil through which the reader views reality in a new way. Often, science fiction will touch upon theological issues. 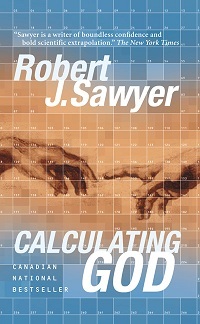 Robert Sawyer’s Calculating God utilizes science fiction in an extremely thought-provoking way to discuss the possibility and meaning of God in our universe. Before diving in I need to make to things clear. First, just because I analyze a book like this does not mean that I think that everything in it is theologically sound by any means (and believe me, it is not). Second, there will be extremely HUGE PLOT SPOILERS ahead. For those who are just interested in seeing how science fiction can explore faith issues, read on! The most immediately striking and pervasive theme of Calculating God is that aliens show up on earth, and they believe in God. In fact, they take the existence of God to be a scientific certainty. The main character of the book, a paleontologist named Tom Jericho, is very skeptical throughout. Here’s the kicker, though, the aliens have been convinced of the existence of God through the evidence–specifically, the fine-tuning argument. Said argument is presented throughout the course of the book in interactions between Tom and Hollus, an alien paleontologist. What is surprising is how much depth the book goes into while exploring the argument. Yes, Sawyer does fudge the argument a bit by allowing the aliens the possibility of a grand unified theory of science as well as a few other fictionalized aspects of the argument, but overall the fine-tuning argument he presents is very similar to the modern fine-tuning argument. “All the actions you ascribe to God could have been the doing of advanced aliens” [said Tom]. The book is replete with debates like this, and the inevitable conclusion is that, shock of all shocks, God exists. I don’t say that sarcastically, I mean that I was genuinely surprised that the book affirmed God exists. But what kind of God? It should be clear that in Calculating God, God is nowhere near the God of classical theism. In fact, one could almost argue that what Sawyer has offered here is a materialistic supplanting of God. The “god” of this work is essentially a super-powerful alien which is capable of swallowing the enormous energy output of a supernova, while also capable of designing our biology and fixing the constants of the universe during the early stages of the Big Bang. God’s action is described purely in non-transcendent language. For example, the aliens confirm that god caused ice ages and mass extinctions on all the planets with intelligent life. The way this was accomplished was a matter of some speculation–perhaps God generated a dust cloud by using particles from across the galaxy to shield the planets from light and lower the temperature, or perhaps God redirected an asteroid or two to send them hurtling at the planets with life that needed a ‘jump start’ of evolution (146ff). So why think that this is an image of god supplanting the classical theistic God? Well, clearly many who use the teleological argument are intending for it to point towards a creator God. What Sawyer has offered is a more naturalistic explanations of these events. Yes, there is a ‘god’ in the sense of a being capable of tampering with the very fabric of our universe, but that ‘god’ is itself trapped within the spatio-temporal boundaries of the known universe. In fact, god is said to subsist by recreating itself via a kind of reproductive method and passing one generation through a Big Crunch (think of a bouncing universe model). Calculating God offers a unique look at theology from a science fiction perspective. The fine tuning argument is presented in full force–even enhanced by some fudging of the science–and it leads to the inevitable conclusion that god exists. Yet this ‘god’ is not at all amenable to the god of Christianity or classical theism. So what should we do with this book? Well, it is important to note that it is a work of fiction. The author clearly adds in some extra ‘fluff’ to make the fine tuning argument more powerful than it is (and I think it is quite powerful as it stands). And really Sawyer’s shoehorning in of a materialistic entity that is able to fiddle with physics boils down to hand-waving. Again, it is fiction, but it is important to note that Sawyer’s attempt to supplant the God of classical theism simply doesn’t work. Think of it this way: how would a purely physical being, however powerful, manage to transcend the physical universe in such a way as to literally rewrite the laws of physics? Extremely interesting science fiction? Yes. Compelling argument? No. So where are we left? Sawyer does present the fine tuning argument in a way that is quite compelling, even when one strips away all the layers of fiction over it. It seems to me that, at a minimum, readers are left with a rock in their shoe: how do we explain away all this fine tuning without going beyond the cosmos? Sawyer’s own proffered answer, while entertaining fiction, remains that: fiction. Ultimately, Sawyer’s work is a simply phenomenal read. The amount of scientific, ethical, and religious issues upon which it touches is stunning, and readers will be forced to deal with the argument. Sawyer has done an excellent job using fiction for what I think it is called to do: inspire, entice, and force thought. Readers will be uncomfortable. The work will challenge people to really think about the arguments, and to think about the offered solutions. What would it mean if we discovered life? I have reflected on the possibility: Alien Life: Theological reflections on life on other planets. Our Spooky Universe– I make the case for the intelligent design argument for the existence of God, which is heavily used throughout Calculating God. Robert Sawyer, Calculating God Mass Market Paperback Edition (New York: TOR, 2000). The Fine-Tuning Argument for the existence of God has been acknowledged as one of the most powerful arguments for theism. Proponents of this argument, also known as the teleological argument note that our universe is “spooky.” So many facets of our universe appear designed. It is startling to me to read about many of these in literature and realize that the very fingers of God seem apparent in these qualities of our universe. The way that these pieces fit together should not be viewed as independent variables. Any theory which seeks to explain the features of our universe must take into account the full range of factors. The first premise turns on the notion of “fine-tuning”–something which is widely acknowledged to exist. It is the explanation of this fine-tuning that becomes controversial. Before trying to offer a way forward in this controversy, it will be prudent to list some of these evidences for fine tuning. Finally, before diving it it should be noticed that this argument can be seen probabilistically: that is, one should view it in light of which is more probable- are the properties we observe more probable in a universe that came about by chance, design, or necessity? There are any number of independent, fine-tuned factors which make our universe capable of sustaining life. Without these factors in place, our universe would be uninhabited, and we would not exist. If the entropy in our universe were high, then the energy required for life to function would be distributed in such a way as to make the complexity required for life impossible. In order to determine the likelihood of a life-permitting range for a universe, Roger Penrose calculated the total entropy in our universe as “equal to the total number of baryons (protons and neutrons) in the universe… times the entropy per baryon… which yields a total entropy of 10^123.” This means that our universe falls within a range of accuracy regarding entropy of one part in 10 to the 10th to the 123rd power, 10^10^123. As Penrose put it, “the Creator’s aim must have been… to an accuracy of one part in 10^10^123” (quoted in Spitzer, 58). The very existence of matter is something which cries out for explanation. Why? Well, to put it as simply as possible, the basic particles of matter, quarks and anti-quarks form via pair production. They annihilate each other. However, during the Big Bang, a slight asymmetry in this pair production resulted in approximately 1 extra particle of matter for every 10 billion produced. It turns out that this 1 in 10 billion ratio of “leftover particles” happens to be the exact amount of mass necessary for the formation of stars, galaxies, and planets. As much as 2 in 10 billion, and the universe would have just been filled with black holes. 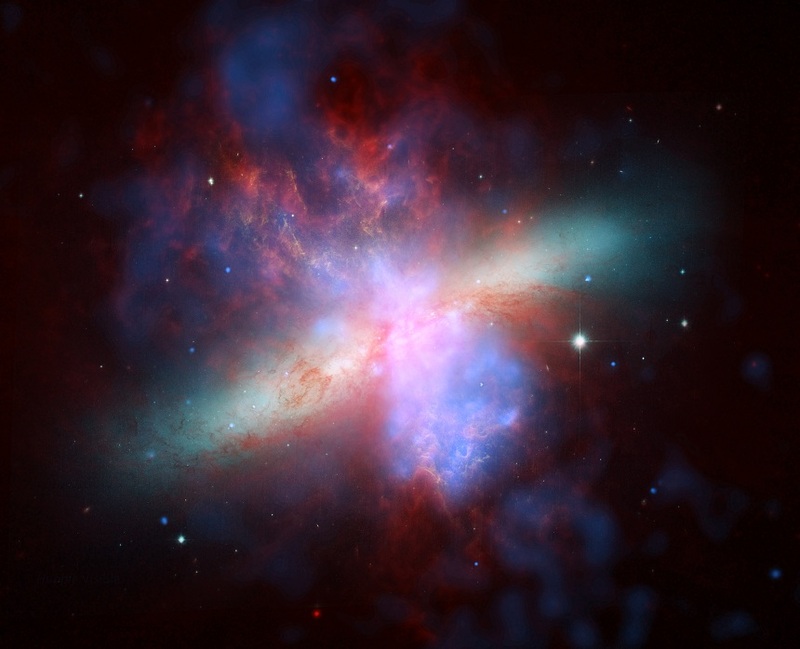 As little as 0.5 in 10 billion, and there would not have been enough density for galaxies to form. (Bloom, cited in Rodgers). If the nuclear binding force were much about 2% stronger, then the universe would form mega-elements which would make life impossible. 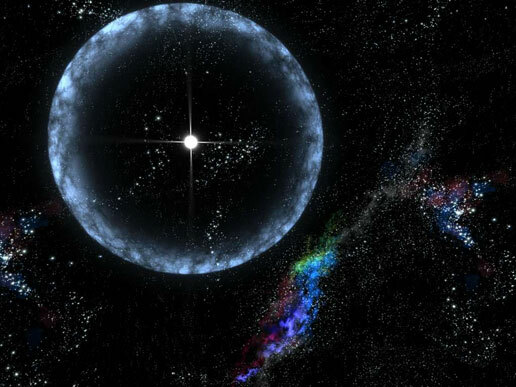 Our universe would be filled with black holes and neutron stars. Furthermore, if it were weaker by about 5%, we would eliminate a large portion of the periodic table…. in fact, it would reduce it so much as to make the universe composed entirely of hydrogen (Bloom, cited in Rodgers). Water is required for life. Don’t take my word for it: just look into the works of those who are working on investigating the origins of life, people like Iris Fry or Paul Davies . Yet water itself has a number of very unique properties. Water is a simple compound to form, but it is enormously versatile and unique. For example, it takes up more space a solid than as a liquid, which is extremely strange. This allows there to be liquid water that doesn’t freeze from the bottom of the oceans. If water froze from the bottom, it would turn planets like Earth into a frozen wasteland because the water would never melt–there wouldn’t be enough energy to melt all the ice. Furthermore, the chemical structure of water suggests that it should be a gas as opposed to a liquid at the temperatures that it remains a liquid. Water being liquid at its temperature range also makes it optimal for life, because the temperature that other compounds would be liquid would be prohibitive for life. Water also has an unusual specific heat, which means that it takes a lot of energy to change its temperature. Water also becomes more dense when it is liquid than when it is solid, which is highly unusual. Water also has high adhesion which is critical for plants to grow. They rely upon capillary action with cohesion to grow upwards. This would be impossible if water were less cohesive. Water is a universal solvent, which is important for life because life relies upon a medium for chemistry to occur. If the medium were gas, the interactions would be too far apart, while if it were solid the interactions would occur to slowly or there wouldn’t be enough movement within the substance for chemical interactions needed for life to occur. Perhaps most “spooky” of all, a more recent discovery hints that water has quantum effects which cancel each other out, reducing the effects of quantum indeterminacy on the covalent bonds in water. This allows for water to have many of the properties outlined above. There is no set number to assign to this chemicals of water, but it should be seen that property after property regarding water lines up exactly with the needs for life. For a more in-depth discussion of the “spooky” properties of water, see the RTB Podcast on the topic. Of course, an increase in the strength of gravity by a factor of 3,000 is significant, but compared to the total range of strengths of the forces in nature… this still amounts to a… fine-tuning of approximately one part in 10^36 (Collins, 190, cited below). There are more of these requirements for fine tuning found in a number of the sources I cite below. But even looking at those I have outlined here, the possibility for our universe to exist as a life-permitting universe is absurdly low. It is so small that it baffles the imagination. Thus, the argument turns on this contention: is it reasonable to think that the fine-tuning we observe in our universe is based merely upon chance? Now it is important here to realize that any of the three proposed explanations for the fine-tuning of our universe must carry the burden of proof for their position. That is, if someone puts “chance” out there as the explanation for the fine-tuning in the universe, they must defend their position as being more probable than the hypotheses of necessity and design. Therefore, it is not enough to simply say that “anything is possible.” The key point is that any theory must take into account the full range of intersecting evidences for fine tuning. To make the inference for design, furthermore, is not a failure to attempt explanation. Instead, it is itself an explanation. The argument is that design is the best way to explain the evidence for fine-tuning in the universe. William Lane Craig notes that it is important to take into account that the probability in play in the teleological argument is epistemic probability. That is, is it reasonable to believe that our life-permitting universe occurred merely by chance (Craig 2, 169)? Again, turning to Spitzer’s contention above and taking into account the enormously huge range of possibilities that turn against a life-permitting universe, one has to take into account the fact that it is almost infinitely more probable that a universe would be lifeless than to be one that has life. Yet Spitzer’s point is also that there is a “closed range” for values which are life-permitting. That is, there is only a limited set of values which will allow for their to be life. Yet the range of values which are life prohibiting is essentially open–that is, it is infinite. Therefore, the fact that our universe exists and is life permitting makes it reasonable to believe that it was designed. Design is the only explanation which can account for the full range of the evidence, for it explains why our universe would fall within a specific set of parameters which all must be aligned in order to meet the end of life. In the set of possible worlds, purposeless chance would give us an extraordinarily higher probability of having a lifeless universe, while necessity fails to provide any explanation at all. 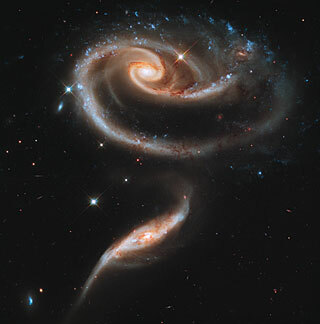 Only design provides a reason to believe that a life permitting universe would be the one to be brought into existence. One may object by saying “well of course, but our universe is life permitting, so it appears that we hit the jackpot.” It should be seen now that that just begs the question. The person who makes this argument is in fact assuming that chance is the explanation without providing any evidence to think this is the case. Again, when one considers how vastly improbable our universe is, the most reasonable conclusion is that it is not, in fact, a random occurrence. As John Bloom put it, it would be like throwing a dart from outer space and hitting a bullseye on the surface of the earth that is smaller than a single atom. In other words, it is statistically impossible. One may also object by noting that all universes are equally improbable, so our universe had to have some values. But again this misses the point. The argument is not that our universe is improbable, but rather that our universe, as life-permitting, is part of a limited set of possibilities against the much larger realm of possible worlds. In other words, the fact that our universe is life-permitting rather than life-prohibiting is what is surprising–not the brute fact of its existence. Although the fact of the universe’s existence is itself something in need of explanation. Yet what about necessity? Is it possible that our universe simply has the constants that it has due to some kind of necessity? Here, mere physical necessity will not do as an explanation. For something which is physically necessary is not metaphysically necessary. That is, something can happen due to laws of nature and the like, while not being something required by logical necessity. Thus, it seems the burden of proof in this case is upon the one claiming that the universe is metaphysically necessary to show their case to be more reasonable than the chance and design hypotheses. Frankly, I think that the prospect is quite bleak. We have noted a number of scientific evidences for the fine-tuning of the universe. These form our data set that any theory needs to explain. Chance has been found epistemologically wanting. It is simply not reasonable to say that chance is the explanation. Necessity seems to fare no better. There is no way to account for the necessity of the universe, and in fact our universe seems to be apparently contingent. Therefore, the most reasonable explanation for the apparent design in our universe is to infer that there is, in fact, a designer. Our universe is not so much spooky as it is spectacular. Evidence for God: A Fine-Tuned Universe– Matt Rodgers gives a great summary of a talk by John Bloom I attended as well. This post gives a really concise summary of a number of the evidences for fine-tuning. The Teleological Argument– I present Robin Collins’ version of the fine-tuning argument and briefly defend it against a few objections. The Past, Probability, and Teleology– I answer a few objections to the teleological argument. What about the multiverse? I have answered a number of issues related to the multiverse in my previous posts on the topic. Max Andrews offers a discussion of the multiverse and the fine-tuning argument, wherein he notes that the existence of a multiverse does not undermine the argument. John Bloom, “A Fine-Tuned Universe.” Lecture given at the EPS Apologetics Conference, 2012. Robin Collins, “Evidence for Fine Tuning” in God and Design (London: Routledge, 2003),178-199. William Lane Craig 1, Reasonable Faith (Wheaton, IL: Crossway, 2008). William Lane Craig 2, “Design and the Anthropic Fine-Tuning of the Universe” in God and Design (London: Routledge, 2003), 155-177. Fazale Rana, “Science News Flash: ‘Water Fine-Tuned for Life'” (October 27, 2011). Reasons to Believe. Robert Spitzer, New Proofs for the Existence of God (Grand Rapids, MI: William B. Eerdmans, 2010). 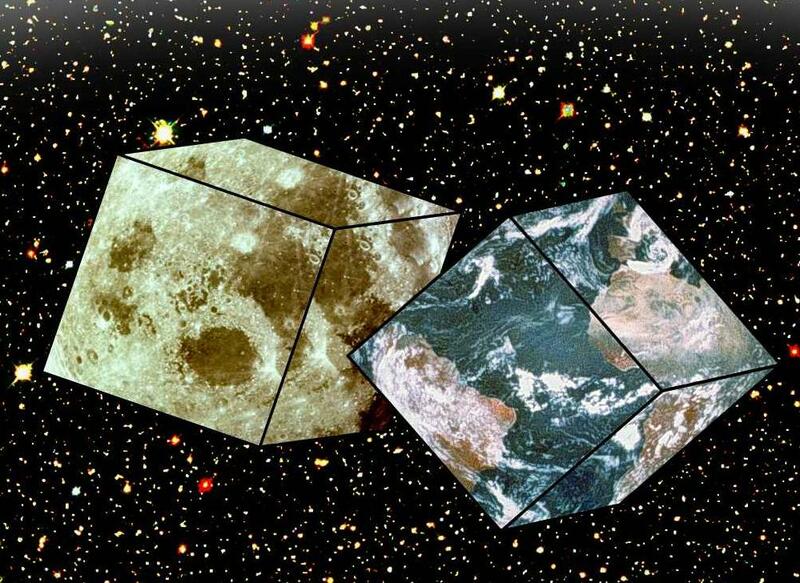 There has been much philosophical and scientific discussion on the topic of the multiverse. Recently, a lot of this discussion has been happening within philosophy of religion. Some attempt to use the multiverse to overcome classical theistic arguments like the Kalam Cosmological Argument, while others try to utilize it to avoid the teleological argument. Atheists and skeptics are not the only ones who are interested in the multiverse, however. Recently, a few prominent theistic philosophers have utilized the multiverse in inventive ways. …a theist might agree that it is unlikely, given just what we know about our world, that there is such a person as God. But perhaps God has created countless worlds, in fact, all the… universes… in which there is a substantial overall balance of good or evil… [A]s it happens, we find ourselves in one of the worlds in which there is a good deal [of evil]. But the probability of theism, given the whole ensemble of worlds, isn’t particularly low (Plantinga, 463). Does such a theodicy help theists with the problem of evil? It seems to me that it may, but that it is not particularly strong. It could be included in a cumulative-case type of theodicy, however. First, Michael Almeida offers a critique of this position. Suppose that God did, in fact, create such a multiverse. It seems plausible that such a universe would be infinite in the number of worlds (after all, for every “good” world, there seems one can always imagine a “better” world). Here Almeida ingeniously applies William Lane Craig’s arguments about the infinite, not to show that the set of universes cannot be infinite, but to show that in an infinite multiverse one could subtract specific worlds from this set without decreasing the good of the multiverse (Almeida, 305-306). Suppose God did in fact actualize an infinite multiverse–all the worlds which are, on the whole, good. If that’s the case, then God could easily not actualize any one (or infinite!) world(s) without decreasing the total good of creation. After all, it would remain infinitely good! Timothy O’Connor offered a possible response to this argument, noting that “It may well be that [God] would have a distinct motivation to realize every fundamental kind of good-making feature, some of which are incommensurable. If so, this would put a further constraint on universe types… within a candidate infinite hierarchy” (O’Connor 2, 315). God could have chosen to actualize each individual type of good–some of which may exist in our own world to a maximal extent. This doesn’t seem implausible given the tremendous goodness of an event like the Redemption. Some may be concerned that an appeal to the multiverse may undermine more traditional theodicies such as the “greater good theodicy” or the “free-will defense.” One might envision the multiverse as a kind of “throwing in the towel” on the traditional theistic defenses. I don’t see why this should follow, because any of these traditional theodicies would be just as applicable to our own universe whether it were one or one of many. There are, however, a few problems I see with this defense, which I’ll put off until the section “On the Possibility of a Multiverse” below. Which world would God Create? Some have argued theism is irrational because they hold God is a perfect being, which would entail that God would create the best possible universe–itself an incoherent concept. It is possible that God need not create the best possible world. Robert Merrihew Adams, for example, doesn’t agree that God is obligated to create the “best possible world.” Rather, God could choose to create worlds which manifest His grace (Adams, 62). O’Connor cites William Rowe as providing an effective counter to this by arguing that there would then be a possible being better than the perfect being (O’Connor 1, 114). I’m unconvinced by this counter. If there is no best possible world, God cannot be obligated to create it (because it doesn’t exist). O’Connor anticipates this response and seems to grant that it may be plausible (115). However, he among other theists, seems to believe that God would actualize a multiverse. He writes, “God’s choice isn’t between… single universes, but between the super universes [‘super universe’ being a ‘collection of one or more totalities that are mutually disconnected save for their common origin within God’s creative choice’]” (O’Connor 1, 116). God, on this view, actualizes many “good” worlds. He writes, “the creative motivation would be not to settle for a finite limit on the individual organic goodness of any of His products” (O’Connor 2, 315). God’s creation of many universes shows his “artisanship” (Ibid). Such arguments are both interesting and compelling. Those who attack theism based upon the “best possible world” objection may be thwarted by the hypothesis of God’s creative multiverse. Theistic proposals of a multiverse are clearly sometimes motivated for entirely different reasons than naturalists. What difficulties are there with such a proposal? First, some theists object to the multiverse by arguing that it undermines several theistic arguments. It does not seem that the multiverse would do so, however. The cosmological argument would stand strong in spite of a multiverse, because any inflationary multiverse would still have a beginning in time. Design arguments would similarly be unchallenged because one would have to explain the fine-tuning of the multiverse. These objections to the multiverse, therefore, do not do much damage. Other objections to the multiverse require more discussion of the meaning of the term “multiverse.” Jeffrey Zweerink notes several levels of multiverse. Some of these are uncontroversial. For example, the “Level I” multiverse is simply a description of other regions beyond the observable universe (Zweerink, 28). Of course, this is hardly what many mean when they refer to a “multiverse.” What is meant by multiverse here is a Level II or higher multiverse, such as inflationary bubble universes or other generative scenarios (Zweerink, 28-29). The difficulty with these is that there doesn’t seem to be any reason to hold that these universes exist. Zweerink notes that the Level II multiverse is predicted by some models of string theory, but to believe there are literally other unobservable universes on the basis of theoretical predictions alone hardly seems convincing. Given these observations, it seems initially that while theism is unthreatened by the multiverse (and perhaps even bolstered by its possible existence), there is no better reason to think it exists on theism as on other worldviews. But perhaps that’s not the case. One can reflect once more on O’Connor’s belief that the multiverse shows God’s creative artistry (O’Connor 2, 315). Not only that, but one may even predict that God would actualize many worlds in order to bring about His desire to actualize various goods (O’Connor 1, 112ff). Perhaps one could argue that theism may even predict many universes. In that case, the multiverse is more likely than not. Clearly, I think there may be some merit in the use of the multiverse in theistic arguments. I think it would amazing if, somehow, we made a discovery which confirmed the existence of other universes, and I do believe people could hold that theism might even predict such a discovery, but color me skeptical. I think it would generate an enormous amount of metaphysical baggage to hold to the existence of a multiverse. While the previous arguments may have shown that theism increases the likelihood of a multiverse, I don’t think it increases it enough to justify belief in a world ensemble. I remain open to the possibility, and indeed some compelling arguments have been offered in its favor, but for now I remain unconvinced. That said, I think theists could still utilize the multiverse in response to the problems illustrated above, because even a hypothetical multiverse could be used to bolster these defenses. Those opposed to theism might here object, saying that I condemn their own uses of the multiverse to try to get around theistic arguments. They would be incorrect. I condemn the use of the multiverse on competing views because I don’t think the other views can justify belief in the multiverse, nor do I think their usage actually defeats the difficulties with their own positions. Is there a theistic multiverse? Maybe. Can theists utilize a hypothetical multiverse in their philosophical speculations? Absolutely. Alvin Plantinga, Warranted Christian Belief (New York, NY: Oxford, 2000). Timothy O’Connor 1, Theism and Ultimate Explanation (Malden, MA: Blackwell, 2008). Timothy O’Connor 2, “Is God’s Necessity Necessary? Replies to Senor, Oppy, McCann, and Almeida,” Philosophia Christi 12 (2010), 309-316. Michael J. Almeida, “O’Connor’s Permissive Multiverse” Philosophia Christi 12 (2010), 297-307. Robert Merrihew Adams, “Must God Create the Best?” in The Virtue of Faith and Other Essays in Philosophical Theology 51-64 (New York: Oxford, 1987). Jeffrey Zweerink, Who’s Afraid of the Multiverse? (Reasons to Believe, 2008). I discuss and rebut multiverse objections to the Kalam Cosmological Argument here and here. The Theological Attraction of the Multiverse– An interesting post on the theology of the multiverse. Christological Implications of the Multiverse– Another post worth reading on theology and the multiverse. Living in the Multiverse- Is It Science?– Discussion of scientific evidence for the multiverse. This post has been expanded, edited, and published in the journal Hope’s Reason. View it in full here. I have run into the idea more than once recently that we should discount things like the teleological argument due to the fact that it happened in the past. The thinking goes that, because an event (the existence of the universe, for example), has happened, the probability of that event happening is 1/1. Thus, people like Dawkins can say, “The fact of our own existence is perhaps too surprising to bear… How is it that we find ourselves not merely existing, but surrounded by such complexity, such excellence, such endless forms so beautiful… The answer is this: it could not have been otherwise, given that we are capable of noticing our existence at all and of asking questions about it” (here). There are a number of ways to take such sentiment. The first is quite trivial. Of course, if an event e happened, the probability e having happened is 1/1. That’s, as I said, trivially true. The problem is when people try to use this thinking against something like some forms of the teleological argument. Statistically, some people assert, the odds that the universe would be life-permitting (like the one we observe) must be 1/1, because, we are here, after all, to observe it! d: The chances of any one side coming up are (granting a fair die and surface) 1/6. I toss a die (I really just did here) and get a 1. Now, the equivalent claim of saying that the universe must have been life permitting because we are here to observe it is saying that d must happen, given that it is what did happen. Some people have no problem with asserting this, and indeed say that this should be the case. The fact that something is true, they may argue, means that the probability that it would happen was 1/1. Which tells us that, if p is the case, then necessarily p is the case. Those who are arguing as above, however, need a much stronger conclusion, namely, □p. But this simply doesn’t follow from reality. It is the case that p, therefore, necessarily, p. But it is not the case that necessarily p.
The distinction is a simple de re verses de dicto fallacy. It is an elementary error philosophically, but it is easy to commit. I’ve done so in the past (see here for a post in which I caught myself in this confusion). Now, de dicto necessity is “a matter of a proposition’s being necessarily true” while de re necessity is “an object’s having a property essentially or necessarily” (Plantinga, v). De dicto necessity ascribes necessity to a proposition, while de re necessity argues only that each “res of a certain kind has a certain property essentially or necessarily” (Plantinga, 10). Returning to the idea of past events, such as the universe coming into existence or rolling a die and having it come up as a 1, we can see where this error occurs. Those who deny with Dawkins that we can work out the prior probabilities of the universe being life-permitting because “it could not have been otherwise” are actually committing this basic error. They have assigned the proposition that the universe exists de re necessity, when in reality it is only a de dicto necessity. It is, in other words, true that whatever has happened, necessarily has happened. It is not true that whatever has happened has happened necessarily. Plantinga, Alvin. The Nature of Necessity. Oxford University Press. 1979. Thanks to Dr. Timothy Folkerts and Dr. Stephen Parrish for some enlightening correspondence on the above points. The “Teleological Argument,” which is also known as the “Argument from Design,” has been popularized by the Intelligent Design movement, though the version I defend below is cosmological rather than biological. The Teleological Argument is an inductive argument that doesn’t attempt to prove that God exists, but rather argues to justify or confirm that belief. In other words, it can function much like the Argument from Religious Experience in providing warrant, not proof, for belief. It’s an inductive argument that seeks to increase the probability of theism, not prove it. Robin Collins wrote the chapter on the Teleological Argument in The Blackwell Companion to Natural Theology, entitled “The Teleological Argument: An Exploration of the Fine-Tuning of the Universe.” I can honestly say that I only understood about 70-80% of the material. While there is a large amount of hefty philosophical argumentation involved, it was the double-dose of astronomy and physics (things I have an average-at-best understanding of) that kept me from fully understanding this chapter. That said, I think That I understood enough to have the core of the argument intact. Collins argues that the universe has been “fine-tuned” to be a Life-Permitting Universe (LPU). He states that “This fine-tuning falls into three major categories: that of the laws of nature, that of the constants of physics, and that of the intial conditions of the universe…” (BCNT, 202). I have long been skeptical of the usefulness of the Teleological Argument, but Collins puts forward a rather subdued version, in which he doesn’t loftily claim to prove God’s existence, but rather to state that “…given the fine-tuning evidence, LPU strongly supports T[heism] over the [Naturalistic Single Universe Hypothesis (hereafter referred to as the NSU)]” (205). Thus, instead of arguing that theism is true based on teleology, he argues that naturalism is less likely than theism based on teleology. Collins pits the “Theistic Hypothesis” (as he calls it, T) against the NSU. He introduces the “Likelihood Principle,” which, in my own stripped down version basically states that if there is some evidence, e in favor of a hypothesis (say, T) over another (NSU), then T is more likely (205). All of this sounds, as I said, very subdued. The Teleological Argument as Collins presents it is not an end-all, be-all argument to convince everyone, but rather seems to be a justification for belief. Now we must return to the evidence for fine-tuning. As previously stated, this falls into three categories: the laws of nature, the constants of nature, and the intial conditions of the universe (202). The laws or principles of nature that are required for “self-reproducing, highly complex material systems” (211) are 1) a universal attractive force, such as gravity 2) a force similar to the strong nuclear force, 3) a force similar to electromagnetic force, 4) Bohr’s Quantization Rule or something similar (electrons occupy only fixed orbitals ), and 5) the Pauli Exclusion Principle (“no two fermions… can occupy the same quantum state” ). The reason such things are required is because without #1, things would just float around everywhere, #2 allows for nucleons to stay together, without which it seems obvious there would be no complexity, #3, if it were not true, would mean there were no atoms (for nothing could hold them in orbit ), #4 allows electrons to keep energy, and #5 directly allows for complex chemistry (“without this principle, all eelectrons would occupy the lowest atomic orbital…” ) (211). The constants of physics also are essential for an LPU. These include the constant of gravity and the cosmological constant (214, 215). Both of these seem necessary for the existence of life. The cosmological constant, for example, states that when it is positive, it will act as a repulsive force, but when negative, it will act as a negative force. If this constant had been different than it is, then the universe would have expanded or collapsed too quickly for stars and galaxies to form (215). Naturalistic alternatives will be lacking. For example, one of the most likely alternatives for the naturalist is to discover some set of laws such that they explain the cosmological constant being what it is. But if this is the case, the naturalist has only pushed the question up one step higher, for now one could ask for an explanation for the fine-tuning of such a law. Another problem is that, as always, it seems the naturalist is assuming that an explanation will be discovered (219). There are a few problems with this in itself. One is that it is an argument to the future, which is a logical fallacy. One cannot simply state that one’s position is correct by stating that one day it will be demonstrated. Further, the naturalist may claim the theist has now created a “God of the gaps.” This is another fallacious way to attempt to argue against the theist. As stated before, the assumption that science will one day fill in every gap is a fallacy: argument to the future. Naturalists create their own “science of the gaps” in which they assume every gap will be filled by science. Another problem is that in order for the naturalist’s objection “God of the gaps” to work, it must carry weight for the theist, lest it be question-begging in nature. Yet there is no plausible way that, given theism, appealing to God for explanation of some concept should be ruled out a priori. Thus, the naturalist begs the question in objecting in a “God of the gaps” fashion. Further, such an objection as the “God of the gaps” is question begging in that they assume the theist is proposing theism as a scientific hypothesis. This is not the case. The theist is proposing God as a metaphysical and philosophical explanation, not a scientific one (225). Not only that, but if, for example, there is some theory of everything yet to be discovered, this would only push the fine-tuning up one level, and the naturalist would have to explain the existence of this theory of everything. The Teleological Argument doesn’t lose weight in light of such objections. The first premise is one that should not really be all that heavily debated. Just as one example, the cosmological constant is fine tuned to about 1 part in 10^120 (Reasonable Faith by William Lane Craig, 159). There are many other constants that have such unfathomably small likelihood of occurring. The difference is in how one explains this. Some argue for brute fact (it just is), but others argue based on the multiverse hypothesis. Collins argues in various ways against the multiverse hypothesis scientifically. I will present my own argument, which is philosophical in nature. If our universe is one of many (perhaps infinitely many), then a number of logical problems arise. One is the problem of discovery. If we are granting naturalism, then how do we scientifically discover these other universes, if, based on the multiverse hypothesis, we cannot? Not only that, but there are modal problems with the multiverse hypothesis. Given an infinite number of universes that exist, then it seems highly likely there are other “J.W. Wartick”s in these universes. But there would likely be a far greater number in which there is no “J.W. Wartick” (much to the chagrin of the inhabitants!). If this is the case, then I simultaneously exist and do not exist, which is contradictory. But, it could be argued, these other “J.W. Wartick”s are not actually me, they are alternate mes in entirely different universes! This only introduces other problems, such as identity. This problem is another discovery problem, but this one does not exist in a scientific sense but a philosophical one. How, for example, do we identify these other universes? How do we discover their properties? How do we infer any truths about our universe if, as stated just before, they are entirely different universes, and one cannot say that there are two “J.W. Wartick”s out there? In other words, if we state that the problem of “J.W. Wartick” existing and not existing isn’t a problem because these universes are not our own and are entirely different, how then do we derive knowledge of our own unverse from these hypothetical universes in the sense that we infer that our own universe isn’t all that unlikely given that we are one in infinite (or a great many)? One cannot have it both ways. Others modify the multiverse hypothesis to say that there really aren’t infinite universes out there, but rather only those with laws similar to our own, selected by a sort of naturalistic machine that determines which universes are and are not possible. But if this is the case, then we have again only shifted the problem of our own existence from one point on the ladder to another. What determines this “machine” that selects universes non-arbitrarily (for it must not be arbitrary if we are using it to try to explain apparent fine-tuning)? Thus, this hypothesis doesn’t solve anything. Then there is what Collins calls the “Weak Anthropic Principle objection.” I believe this is the claim Dawkins was making that I analyzed in another post. Collins writes, “According to the weak verson of the so-called Anthropic Principle, if the laws of nature were not fine-tuned, we should not be here to comment on the fact. Some have argued, therefore, that LPU is not really improbable or surprising at all under NSU, but simply follows from the fact that we exist” (277). There are a few problems with this, as I pointed out in the post I linked with Dawkins (such as the claim that such a thing is necessarily true that is implicit). But there are even more problems. The first is the argument could simply be restated to argue that our existence as embodied moral agents is extremely unlikely under NSU, but not under theism (277). Imagine that I am standing to be executed, with 50 sharpshooters ready to fire at me. They fire, and they all miss. Would my response really be, “if they had not missed me, I would not be here to consider the fact?” Such a response is inadequate. One would almost be forced to conclude that there was some reason they all missed, given the background information that had the intention been to kill me, they almost certainly would have killed me (276). Thus, such a dismissal of the evidence as Dawkins performs misses the mark (pun slightly intended). Brute Fact must similarly be discareded as an explanation. Dr. Parrish argues in his book God and Necessity (which I recently read and discussed) that Brute Fact is logically undercut as an explanation for a number of reasons. These include that the Brute Fact hypothesis states explicitly that everything is random. If this is the case, then there should be no laws to observe, and, in fact, things should randomly be happening constantly. But Brute Fact proponents may argue that everything was random, but once it started, it was determined (God and Necessity, Stephen E. Parrish, 189). This, however, ignores the fact that relationships, in Brute Fact, are completely random. There is no reason to believe that, for example, a law should continue to operate how it does, even if we can observe it for a great deal of time doing so. Further, if such things were set in place upon being randomly selected by Brute Facy randomness, there are two major probelms. The first is that Brute Fact has no way to explain why such things should become determined upon selection, and the second is that even if one could get around this first problem, there remains no way to explain why it should always be the case. If everything is random, then everything is random, necessarily. There can be no constants. Thus, it seems as though theism is the best way to explain the fine-tuning of the universe. Multiverse hypotheses fail in that they have scientific (which I did not discuss) and logical problems. Brute Fact can’t account for constants. Finally, just saying that we are here to observe the universe doesn’t do anything to undermine questions that ask Why are we here, and not somewhere else, or nowhere? I don’t believe the Teleological Argument proves God exists, but it does add a significant amount of warrant to the belief that He does. There was a video I found online of Dawkins talking about his latest book, “The Greatest Show On Earth.” Naturally I had to watch it and I honestly found myself laughing out loud at a few points. Dawkins is surely a good speaker. I find him quite a natural at sounding amiable despite spitting blasphemy and utter illogic the entire time. Now I have not read the book. I cracked it open at Borders recently, but that’s about it, so these comments only come from the video. Dawkins’ brand of argument is one that I am honestly baffled by. Basically, what Dawkins says, is that the reason we see so much apparent design in the universe is because it could not have failed to be any other way, given the fact that we are here to observe it. I have heard this argument before but never really reflected on how ridiculous it is before now. “The fact of our own existence is perhaps too surprising to bear… How is it that we find ourselves not merely existing, but surrounded by such complexity, such excellence, such endless forms so beautiful… The answer is this: it could not have been otherwise, given that we are capable of noticing our existence at all and of asking questions about it.”- Dawkins, in the interview at the link above. 1. There is apparent design in the universe that brought about our existence. 3. The reason we see apparent design in the universe is because we exist. 2. There is apparent design in the universe that brought about our existence. 3. Therefore, we are here to observe that design. Conclusion : The apparent design we see in the universe is observed simply because we exist to observe it. Conclusion : We read design for our existence into the universe because we exist to do so. Conclusion : We read design for our existence into the universe because it actually is there. I think that my conclusion has about as much [or more] validity as the argument Dawkins [and others] makes. Conclusion : Because we are here to observe all of these things, it follows that they should appear to be designed for us, for we could not have come about if such conditions had not occurred. This may, at first glance, seem more valid. But let us examine it further. How is it that it somehow follows from this conclusion that the design is not in fact intelligent design? How does it follow that the design does not point specifically to creation? I don’t think there is any good way to try to exclude either of these alternatives. What Dawkins has in fact done is not eliminate design from the equation, but introduce evolution as an alternative explanation. He acknowledges design, and then throws evolution into the mix as a possible explanation (“How is it… it could not have been otherwise”). It’s essentially giving up on trying to explain away design and instead admitting it and trying to explain it within evolution. The third option has become increasingly untenable, so people like Dawkins have tried the first two. Unfortunately, in doing so they have abandoned the very logic they claim to cling to. But again, perhaps I may be accused of erecting a straw man. “It’s not that Dawkins is saying there is design, just that there appears to be design, because we are here.” I answer again by saying that this is completely question-begging against teleology. It smacks of a complete ad hoc modification of one’s view. 1. If some species X exists, then the universe would appear designed for X. 3. Therefore, the universe appears designed for X. 1. If some species X exists, then the universe is designed for X. 3. Therefore, the universe is designed for X. Nor does it do anything to somehow discredit this latter argument. All it’s done is formulate a weaker version of the teleological argument, which is the argument many theists are using nowadays to begin with. 1. If species X exists, then it is impossible that conditions are such that X would fail to exist. 3. Therefore, it is impossible that conditions are such that X would fail to exist. There are major problems for the evolutionist holding to this view. For in stating that it would be impossible for conditions to be otherwise, one making this argument has made it necessarily true that every species that does exist, exists. In other words, the universe exists in such a fashion that it is necessarily true that humans came to exist. Similarly, it is necessarily true that walruses, cardinals, and the like came to exist. But what does that say about evolution? Where did the natural selection go? Where did the random chance go? What has happened to those conditions that factor into making species diverse? For if the species that exist today exist because of a necessary chain of events leading up to the species that currently exist, it follows [due to necessity] that the speceis that exist now could not have failed to exist, nor could there have been other species. I think that this kind of argument should make the atheistic evolutionist quite uncomfortable, for if it is necessarily true that humans exist, all they’ve done is actually acknowledge that the universe was arranged in such a way that humans would actually exist. And I see no way to make this argument without including necessity in it. For if necessity is left out of argument  above, then it suffers from the problem of not actually eliminating design. But if necessity is included in the argument, then it follows that species that exist now exist necessarily, and therefore the universe is such that humans have come about necessarily because of pre-existing conditions, which many theists would gladly acknowledge, and perhaps even cling to. I conclude with restating my exact quote from Dawkins’ mouth. I leave out his paltry answer this second time, for his question remains unanswered in light of his illogic. Thank you, Dawkins, for acknowledging that the universe was specifically designed for us.